The Surfrider Foundation is pleased to announce its participation in the first ever open data standard for the automated exchange of recreational water quality data. Recreational waters at ocean and freshwater beaches, lakes and rivers are monitored for harmful bacteria and pathogens that can threaten human health. Agencies and volunteer organizations alike have always found it challenging, however, to get water quality information into the hands of the public. An estimated 90 million illnesses are reported annually in the United States from recreating in polluted surface waters, costing the country $2.2 - $3.7 billion in health costs and loss of income. In order to protect public health at the beach, it is crucial to get timely water quality information communicated to beachgoers, recreationists and those who enjoy the ocean and waterways. The Surfrider Foundation’s Blue Water Task Force program empowers citizen scientists to test water quality within their communities to inform the public about where it’s safe to swim, surf, and play in the water. 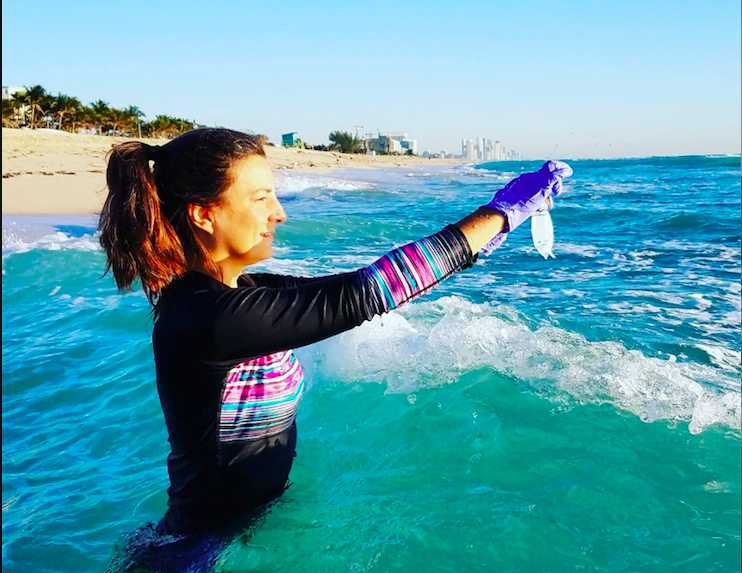 All water quality results are posted on the Blue Water Task Force website, and recently Surfrider has been focusing our efforts to increase the reach of our citizen science data. In 2017, Surfrider teamed up with Swim Drink Fish Canada to host our Blue Water Task Force test results on The Swim Guide, a website and mobile application that allows users to easily check the water quality at beaches near them. The Swim Guide hosts data from health agencies and NGOs alike and has three million users in North America, Europe, The Caribbean, Australia and New Zealand. Five Blue Water Task Force labs were initially onboarded as affiliates of the Swim Guide - Vancouver Island, Eastern Long Island, Kauai, Rincón, and Miami. The collaboration between Surfrider and Swim Guide began as affiliates, but quickly these two organizations became united in a cause to make it easier for recreational beach water quality information to be found, shared, and understood. In recent years, there has been an increase of ‘open data’ sharing, but best practices or standards for sharing were not developed. 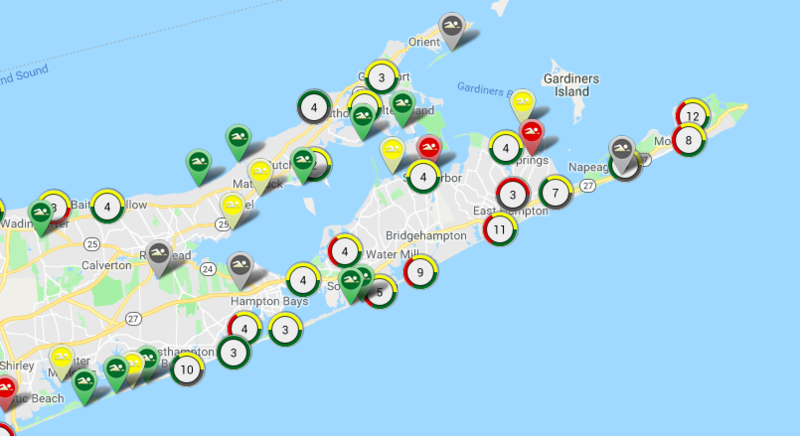 The Surfrider Foundation, Swim Guide, the U.S. EPA, and several other international NGOs worked together to meet this need and author the first-of-its-kind Open Data Standards for Recreational Water Quality released earlier this year. This open data standard was developed to increase the quality of open recreational water quality data by: (1) creating a single standard for presenting recreational water quality data, so that different people monitoring different waters can share their results, (2) making the standard open, so that everyone can view and access it, and (3) ensuring data is shared in a machine-readable format (i.e. XML or CSV files not word docs or pdfs) so that sharing is easy and automated. In short, ensuring the data meets FAIR principles: Findable, Accessible, Interoperable, and Reusable. After its release, the Surfrider Foundation became the first organization to use the open data standard to automatically share water quality data from the five Blue Water Task Force chapter affiliates. "Swim Drink Fish Canada is a longtime admirer of the Surfrider Foundation’s exciting programs and endless commitment to ensure clean, healthy and accessible coasts for all," said Mark Mattson, President, Swim Drink Fish Canada. "We are thrilled to be working with Surfrider’s Blue Water Task Force program on Swim Guide, and on the standard for the automated exchange of recreational water quality data. This is an exciting step forward in our shared mission of open access to recreational water data, helping people avoid contaminated water when they swim, surf and play."
The Surfrider Foundation is grateful to work alongside Swim Drink Fish Canada, and will ensure that all Blue Water Task Force data meet this standard moving forward, to optimize the reach and usefulness of our data to protect safe beach-going and ocean recreation. Download the Swim Guide App here.